Question of the Week: – Who inspired you to get into makeup? Answer: – Nobody in particular, perhaps just my own peer group. I didn’t have anyone in my family that had a particular passion for beauty. Phyrra – Phyrra is entranced by the celestial wonders of an Autumn Sky with the Meow Harvest Moon Collection. Vampy Varnish – Wants you to check out the new Seche Nail Color Collection! we heart this – gives Eye Rock Eyeliner Tapes a spin (while shouting at the devil, of course). Beauty Junkies Unite – Here’s your peek at essie’s new fall nail polish collection, Stylenomics! Which shade is your favorite? Clumps of Mascara – is head over heels in love with Urban Decay’s Naked Skin Liquid foundation. It really is the best liquid foundation that she’s ever tried. And that says a lot! EauMG – Victoria has found a new patchouli perfume love, here’s her video review of Spanish luxury perfume line, Ramon Monegal Mon Patchouly. 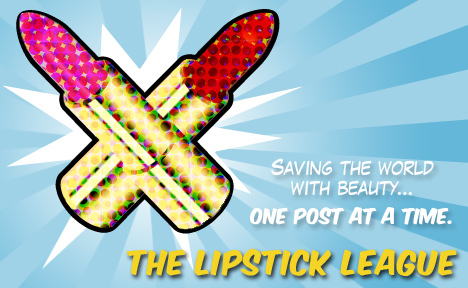 Lipglossiping – shares her Autumn lust list, well, a girl’s gotta keep warm somehow! Gouldylox Reviews – Ever wished someone could photoshop you in real life? This won’t make you skinnier, but will even out your skin and help hide aging! Nouveau Cheap – shows you a $3 face product that didn’t work for its intended purpose, but turned out to be a game-changer in a completely unexpected way. Pink Sith – has finally found her holy grail mattifyer for her oil slick skin AND it’s not a constipation medicine! Prime Beauty – loves the wide awake look IT Cosmetics Hello Bright Eyes Pencil Duo gives her so much, she breaks into song! Guest Post of the Week, as chosen by Phyrra – I love this beautiful Adele inspired look by Cora of Vintage or Tacky. Who inspired you to get into makeup?